• Making official what was pretty clearly the plan as soon as they followed up the Denard Span trade by also trading Ben Revere, the Twins named Aaron Hicks the Opening Day center fielder. Perhaps if Hicks had a terrible spring training Darin Mastroianni could have worked his way into the gig as a place-holder, but Hicks made that a moot point by hitting .350/.397/.650 with three steals in 18 games, including a headline-making three-homer game. Hicks is a very good prospect with an all-around skill set that could make him a long-term building block, so I'm extremely excited to see him play. However, by jumping him from Double-A to the big leagues at age 23 the Twins may be rushing his development a bit and are definitely sacrificing their ability to delay his eventual free agency for the maximum amount of time. If he never goes back to the minors Hicks will be a free agent following the 2018 season, at age 29. Based on service time rules they could've pushed back his free agency by an entire year, gaining an extra season and 162 games of team control, by sending Hicks to Triple-A for as little as four weeks. In that scenario if the Twins called him up in late April or early May and Hicks never went back to the minors he'd be a free agent following 2019, at age 30. Short-term gratification is hard to ignore, but stretching a prospect's pre-free agency years is done regularly by many teams. Instead of having Hicks for 135 games this year and 162 games in 2019 they'll have him for 162 games this year and zero games in 2019. That math seems straightforward enough, especially considering Hicks is likely to be better as a 29-year-old veteran than as a 23-year-old rookie and the Twins might actually be contending in 2019. It's not about being cheap, it's about maximizing a player's value before he can leave. But it apparently never factored into the Twins' decision. I've been real impressed by him. For a young guy to take pitches and work at-bats is pretty impressive. Even today, I talked to him and told him taking pitches is going to help the guys behind him. He has a pretty good grasp on how to approach an at-bat. Ron Gardenhire tends to use speedy center fielders and middle infielders atop the lineup even if they lack strong on-base skills, so it's nice that Hicks is actually a patient hitter. By comparison, Revere drew a grand total of 57 walks in 254 games for the Twins. Hicks' high walk rate has also come with lots of strikeouts and mediocre batting averages, so it'll be interesting to see how he adjusts to facing pitchers with better control and no fear of throwing him strikes. • Back in December the Twins tendered Drew Butera a contract for 2013 and then in January the two sides avoided arbitration with a one-year, $700,000 deal, but he'll be making that money in Rochester after being optioned to the minors. On one hand it's encouraging that the Twins finally realized a career .183/.232/.265 hitter probably shouldn't be in the majors. On the other hand it would have been nice to come to that conclusion before signing him to a $700,000 contract. One-year deals to avoid arbitration aren't fully guaranteed until certain dates this month, so even after signing Butera they could've saved five-sixths or three-fourths of the money by releasing him. Detroit recently did that with Brennan Boesch, saving $1.9 million of a $2.3 million deal, but those deadlines have passed. Gardenhire talked of wanting a stronger bench and removing Butera fits that, but he also talked of wanting Jim Thome and that apparently isn't happening. 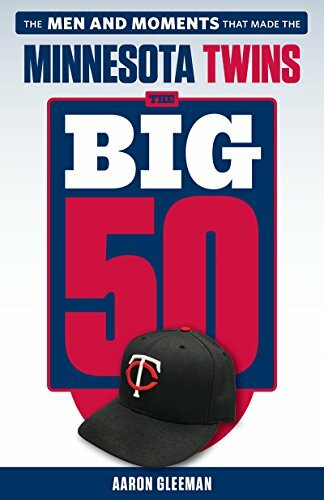 • Kyle Gibson won't be joining Hicks on the Opening Day roster, as initial reports of him looking great coming back from Tommy John elbow surgery gave way to struggles in actual games and the Twins sent him to Triple-A. He'll be limited to 130 innings this season, so there's an argument for not wasting them at Triple-A, but the problem with that line of thinking is assuming Gibson is ready to succeed against big-league hitters when he hadn't even done that yet before surgery. • What was supposed to be minor surgery to remove a bone chip from Scott Diamond's elbow in December has become a season-opening stint on the disabled list for the would-be Opening Day starter. For now the plan is for Diamond to make his season debut in mid-April, missing the Game 1 matchup versus Justin Verlander and a couple more starts, but the Twins' injury timetables haven't been worth a whole lot in recent years and worrying about elbow issues tends to loom. 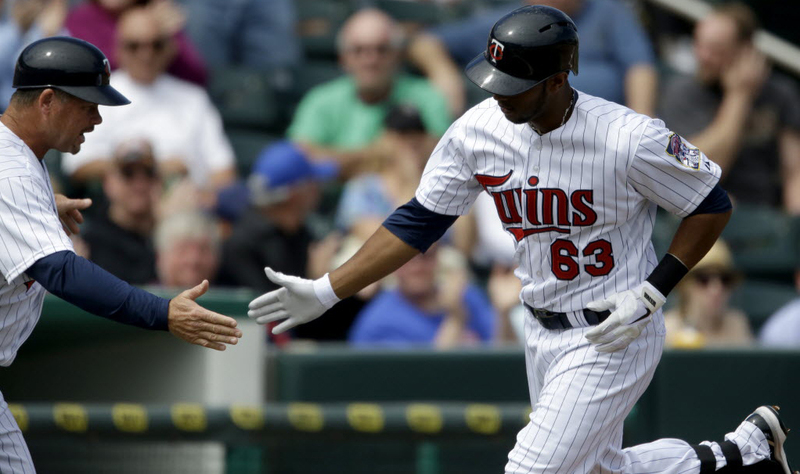 • Diamond on the DL and Gibson at Triple-A means Samuel Deduno or Cole DeVries is likely to be in the Opening Day rotation and both of them could get a spot if the Twins decide to send Liam Hendriks back to Triple-A. At the beginning of the offseason Terry Ryan spoke of big plans for fixing the awful rotation, yet the Twins are already turning to the same career minor leaguers who were thrown against the wall to see if they stuck last season as emergency options. • Joe Benson was sent to Triple-A after a lackluster spring training, but even if he'd played well there wasn't much room for him on a roster with Hicks and Mastroianni. Benson is coming off a terrible, injury wrecked season, so he needs to get back on track or risk falling off the prospect radar, but he'd seemingly be the obvious call-up if Hicks struggles or if any of Josh Willingham, Justin Morneau, Chris Parmelee, or Ryan Doumit gets injured. • Danny Rams and Cole Nelson were among a handful of minor leaguers released by the Twins. Rams was a 2007 second-round pick with lots of power, but couldn't turn himself into a quality defensive catcher and hit .241 with 543 strikeouts in 406 games while failing to get past Single-A. 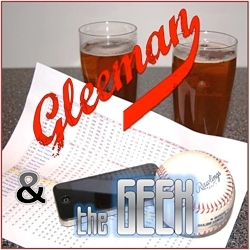 Nelson and Lester Oliveros were acquired from the Tigers for Delmon Young in 2011--the same day "Gleeman and The Geek" debuted--but the big left-hander from Edina stalled at Single-A. • Anthony Swarzak will join Diamond in beginning the season on the disabled list as he recovers from the fractured ribs suffered in the "horseplay" incident during Twins Fest. • Tim Wood, who was a candidate for the Twins' bullpen and out of minor-league options, has been shut down with a strained rotator cuff. • Matt Capps failed to make the Indians on a minor-league deal and may accept an assignment to Triple-A one year after beginning the season as the Twins' closer. • Scott Baker's comeback from Tommy John surgery has been derailed by a strained elbow and he'll be shut down for at least a month. 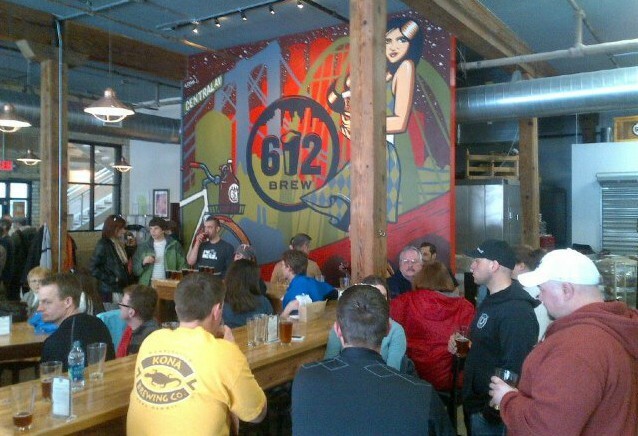 • Thanks to everyone who came to the Twins Daily meet-up Saturday at 612 Brew. 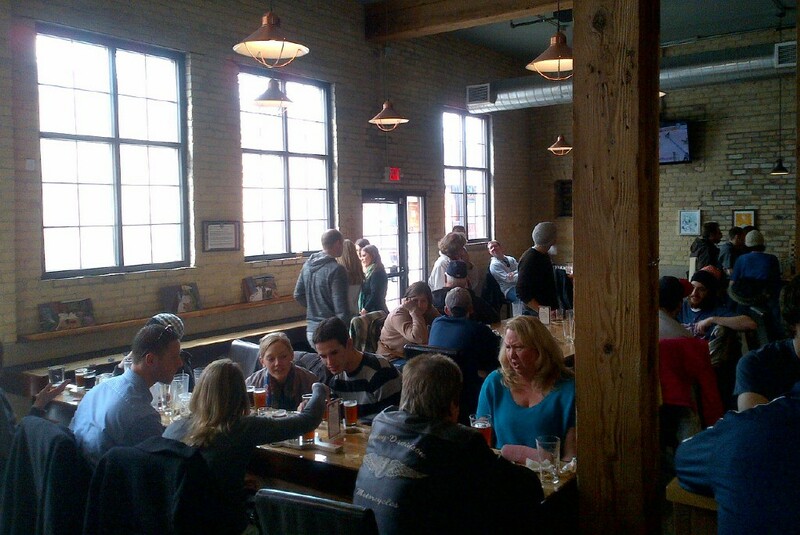 It was a great turnout and we're definitely planning to host semi-regular events throughout the season. 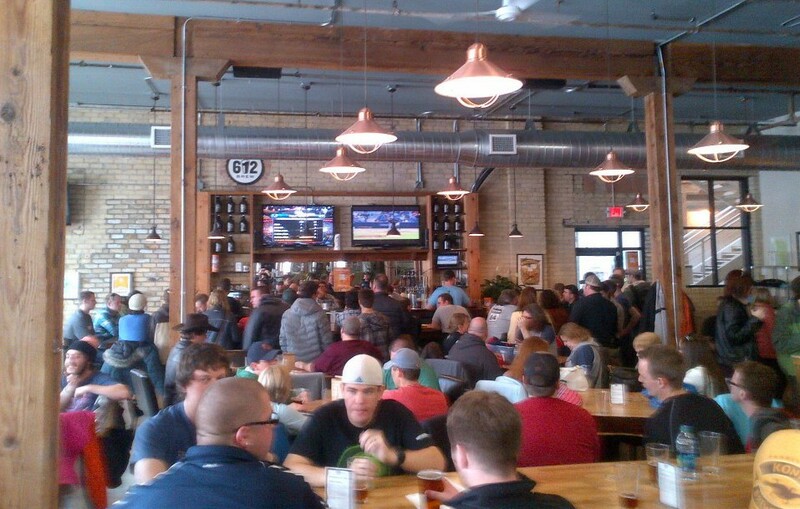 Between the beer and laid-back space 612 Brew is an ideal venue, with the added bonus that the owners are Twins fans and the head brewer is a "Gleeman and The Geek" listener. 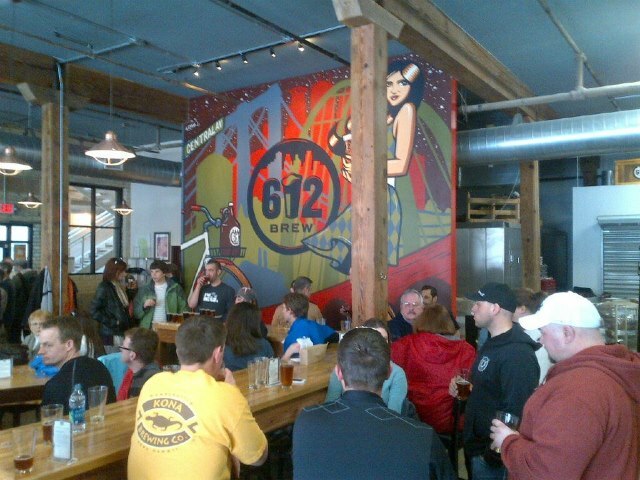 I'm sure we'll be back there at some point, but in the meantime I highly recommended checking out 612 Brew. This week's blog content is sponsored by Territory Train, which takes the heavy lifting out of planning and executing Twins road trips. Please support them for supporting AG.com. If spring training performance is any indication (I know)the career minor leaguers may out-pitch the veterans acquired to shore up the order. If so, I don’t expect that to be due to Deduno or DeVries pitching particularly well. Has Gardy officially announced the Opening Day starter? I suspect it may be Kevin Correia, which is among the saddest Opening Day starting assignments ever. No official starter named yet, but I think the Vanimal is currently set to start that day if they keep the current ST rotation going. A) I don’t think I even need to say that’s obviously not true. B) Remember all of the great players the Twins lost in the 70s, 80s, and 90s because the Twins were so cheap? And it wasn’t even always about the actual dollars — It was frequently about a perceived lack of respect (the players were often quoted as saying as much). Guys played out their contracts and left town as soon as possible. If Hicks were sent down to Rochester for two months (you know they’d make absolutely sure he stayed out of the 17%), Hicks (and these days, a huge number of fans) would know why. And we can’t claim a lack of revenue like we could back then. What kind of way would that be to start a relationship? Players remember that, I guarentee it. While it’s tough to assign a dollar value to that fact, it’s incredibly important. C) With that in mind, it’s quite possible that Hicks, like Span and Revere before him, could become a trade chip before 2019. While a delayed arbitration process would make him a MORE attractive player, it would hardly bring us a much higher-tiered player in return. The teams that make these types of trades tend to ‘ignore’ salary issues. Yes, avoiding Super-2 would be ideal. But this time I think the Twins’ reasoning was sound. Who were the other Twins minor leaguers released? The Horseplay Incident was by far the worst Agatha Christie mystery. 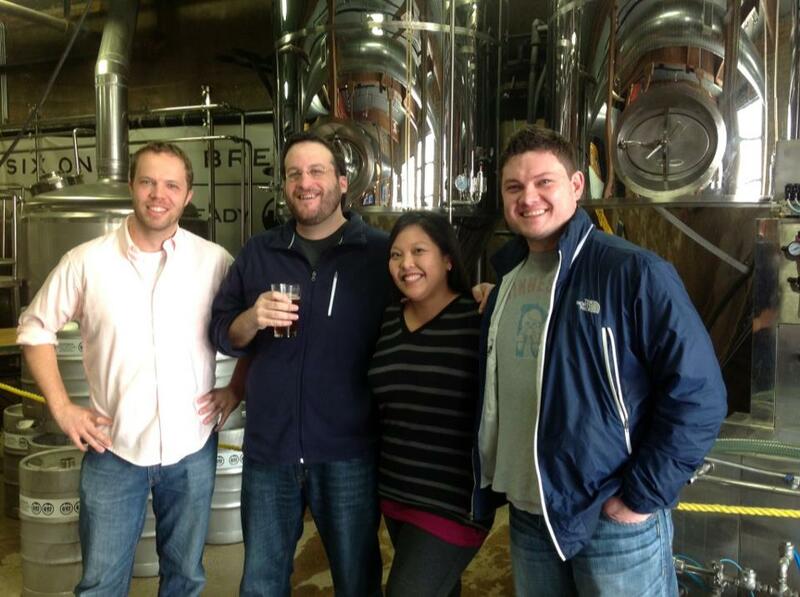 hey, look at Aaron with a fine lady on his arm! Isn’t the minimum salary currently at around $500k? I am no Butera fan but if you’re convinced he needs to be a backup plan, $700k is not a big deal. Doesn’t it hold some value in 5 years at the negotiation table to be able to say to Hicks that this all could have been delayed had the Twins held him back for 4 weeks in 2013?…remember these front office people have relationships with players, it’s not always just simple math. If my boss delayed a bonus or promotion from me for 4 weeks so he could get a tax break or something, it would make me less likely to want to work there longer than I had too. I’ve heard Aaron make the “extra year of control” argument a dozen times on the podcast, and it is technically correct. But it’s completely superseded by the point that if gets to be October 1, 2018 and Aaron Hicks hasn’t already been extended on a deal that covered some of his arbitration years and keeps him a Twin for 2019 and beyond, then (a) He probably wasn’t very good (we had similar “control” discussions about Delmon in 2008, then couldn’t get a rid of him fast enough); or (b) We already failed to sign him, and he’d probably be flipped as a rental by July 31, 2018 anyway. I just think there’s so many other variables it doesn’t make sense to isolate on this one for a scenario that’s pretty unlikely to matter in 2018. Also, while Gleeman and just about every other rationale person covering the Twins agrees 2013 will be another “lost” season, you can bet the Twins don’t want (and really can’t afford) another mid-60’s-win season. We know what Mastroianni is, but Hicks (could) be a stud. There’s no good baseball reason to overripen him when we have tons of outfielders in the system behind him if he fails. If the Twins sent Hicks down for 4 weeks, it’s a clear signal that they’ve given up on the season. 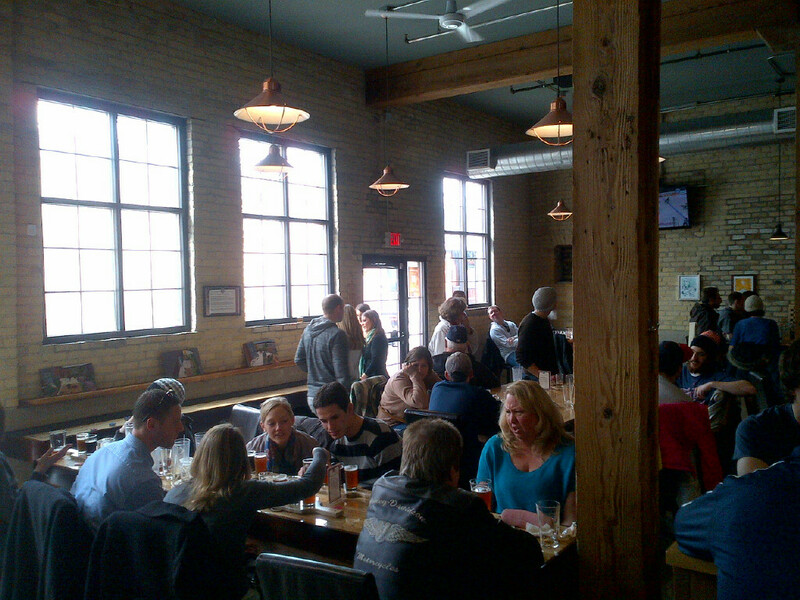 Bye-bye single ticket sales for 2013. As Twins owner, what would you rather have? Strong ticket sales in 2013 or one lower salary in 2019. Instead of always thinking of ways to minimize cost, how about thinking about how to make the team more appealing to fans once in a while? I agree with Aaron 95% of the time, but the service time criticism seems a little nit-picky. If he’s ready, he’s ready. It would be different if he was sitting on the bench, but the Twins are using him. All in all, good read as always. Seems odd to worry about player control for 2018 or 2019… Isn’t a historical frustration with the Twins that they keep players in the minors too long? Hicks is 23 – he’s been in the system for 5 years! If he’s ready, let’s go. As a fan, the last thing I worry about is saving the Pohlad’s money in 5 years. I often get frustrated with Terry Ryan, but I’m 100% in agreement on his decision to bring Hicks north. It seems pretty ridiculous to be worrying about Hicks’s status in 2018 or 2019. The guy could be out of baseball in 3 years for all we know. Aaron, your Mom’s “charming and handsome” assessment of Hicks probably means more to the front-office bean counters than any scout’s. True Jeff, but if they delay his clock for a year they can still do that, they just gain more leverage and time to figure out if he’s worth it.